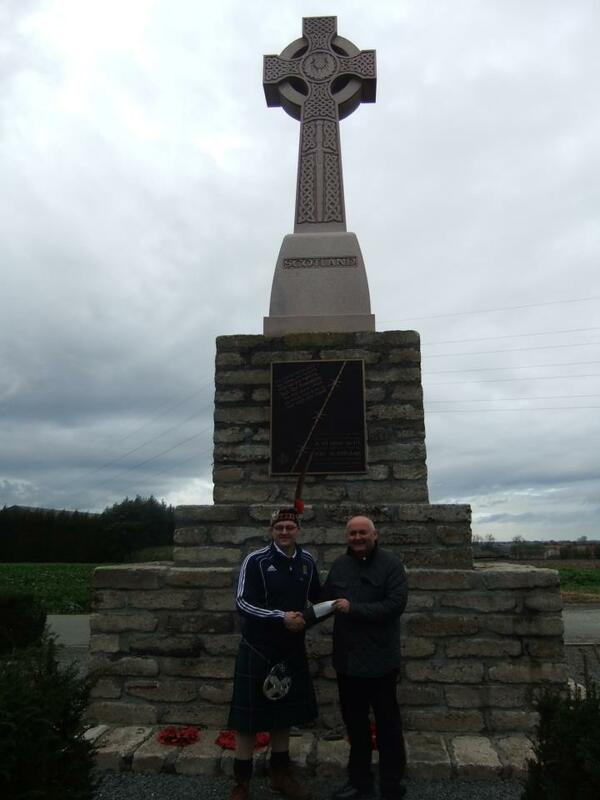 Thanks to Kev Donnelly and Loony Alba for their kind donation of £170, with funds left over from the trip to Ypres. Kev passed the cheque over to Graeme Baxter of the Sunshine Appeal at the Scottish Memorial at Frezenburg, a tribute to all Scottish troops who died in the Great War. Thanks to Kevin and Loony Alba for their continued support.